Delmarva Poultry Industry, Inc. (DPI) and The Keith Campbell Foundation for the Environment are partnering on a first-of-its-kind project to monitor ambient air quality, including levels of ammonia and particulate matter, on Maryland's Eastern Shore and in central Maryland. Working with the Maryland Department of the Environment, DPI and the Campbell Foundation have jointly committed more than $500,000 to this effort. Because of it, residents of Maryland's Eastern Shore will know more about the quality of the air we all breathe. "We in the chicken community have a shared interest with all Marylanders in better understanding what air quality is truly like on the Eastern Shore," said Holly Porter, DPI's executive director. "Because we will never neglect our commitment to environmental responsibility, we believe gathering more data about air quality here helps everyone." "This is a new kind of collaboration between government, industry and philanthropy that I hope ultimately will improve the health of families and our environment in the region," said Samantha Campbell, president of the Campbell Foundation. "We firmly believe the air our farmers and their neighbors breathe is healthy and safe, but we also understand why there's skepticism about that from beyond the chicken community," said Holly Porter, DPI's executive director. "Instead of simply asking for the public's trust that the chicken community's best practices are doing what's right for the environment, we want our families, friends and neighbors to be able to see for themselves what ammonia and particulate matter levels are on the Eastern Shore." 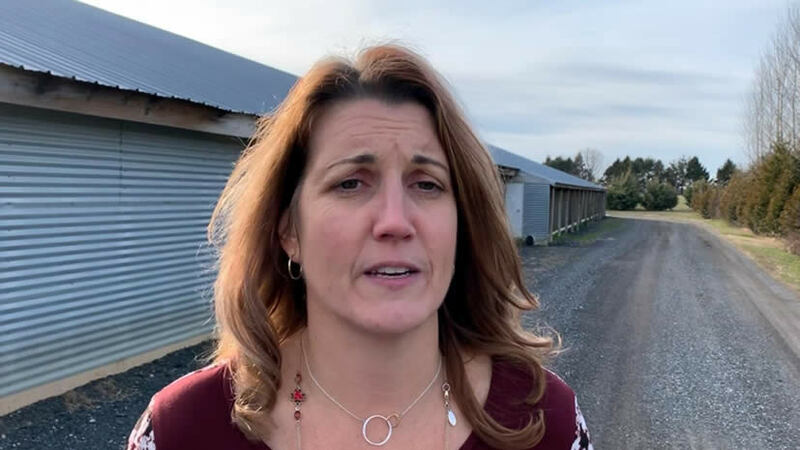 Holly Porter, Delmarva Poultry Industry, Inc.’s executive director, discusses a new partnership between DPI, Maryland and The Keith Campbell Foundation for the Environment to add ambient air quality monitoring stations, including stations sampling for continuous ammonia, to the Eastern Shore.